Not sure if this is the next single, but it’s a good one from the Deluxe version of Luke’s latest album. 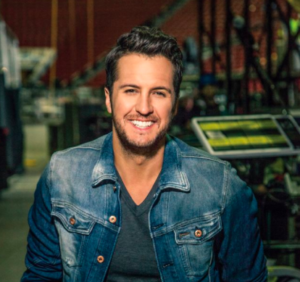 Luke Bryan’s 2015 album, Kill The Lights, has done something special in the world of country music. The album has seen all six of its singles reach #1 on the Country Radio Singles chart on Billboard. That’s pretty special. There have been a handful of albums with four number ones. There have even been one or two with five. I know that Rodney Crowell had one in the ’80s. Not sure on others off the top of my head. We’re probably due for a new Luke Bryan album later this year. But in the meantime let’s see if there is a seventh potential hit on this one. I’m just picking this one. It’s nothing official yet. It looks like Luke co-wrote this one with big time Nashville songwriter Dallas Davidson. These two have kind of been in the middle of the whole Bro Country thing for a few years. I’m a fan of Bro Country, but these two are more than just Bro Country. This song is pretty straight ahead matching the title. It’s about buddies and all the good things buddies can be for each other in life. It’s about more than just drinking beers and laughing all the time. Although that can certainly be part of it. There are tons of images in this one. Fishing, hunting, driving and all the things that go into being with your best buddies in the world. I could see this one having success at radio. I’m just not sure if Luke and his team have it in the plan to shoot for seven number ones from one album.